If you’re a Baby Boomer, like me, now’s the time to get wise about a dangerous threat to your eyesight. It’s age-related macular degeneration, or AMD, and it’s one of the leading causes of vision loss in people over 50. To get you started learning more, here are a few realities about this insidious eye disease. For one thing, AMD is everywhere. 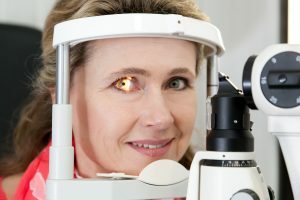 The US Centers for Disease Control and Prevention estimate that 1.8 million Americans currently have AMD and another 7.3 million are at substantial risk for vision loss from the disorder. And as we Baby Boomers continue to age, the number with AMD is expected to rise significantly, to an estimated 6.3 million by 2030. 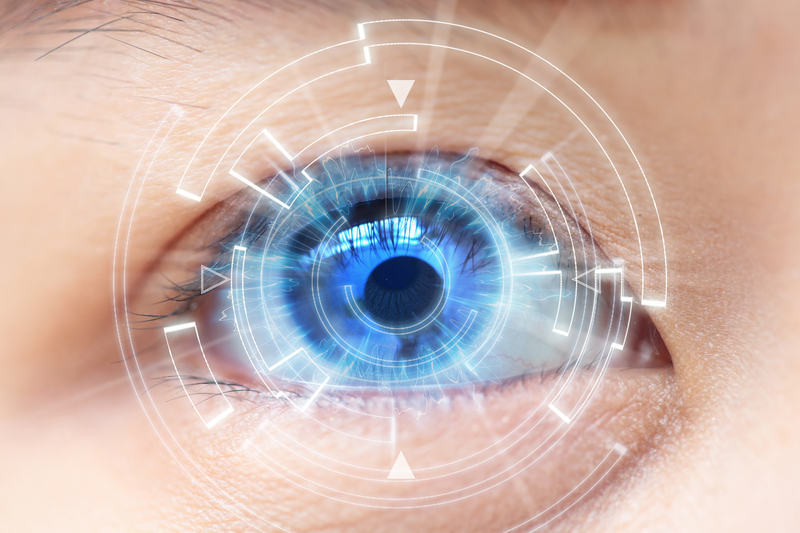 AMD is a disease that affects the macula, the center portion of the retina. 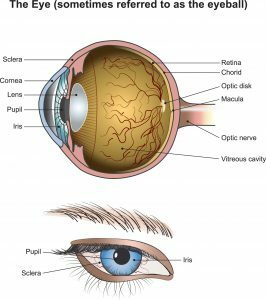 The retina is the sensitive area in the back of the eyeball responsible for capturing light that enters the eye and turning it into nerve impulses sent to the brain by the optic nerve. The brain translates the impulses into images. The macula is responsible for the straight-ahead central vision that allows us to see fine detail. This central vision provided by the macula enables us to distinguish faces, read, write and do close-up work like sewing and baiting a fishing hook. 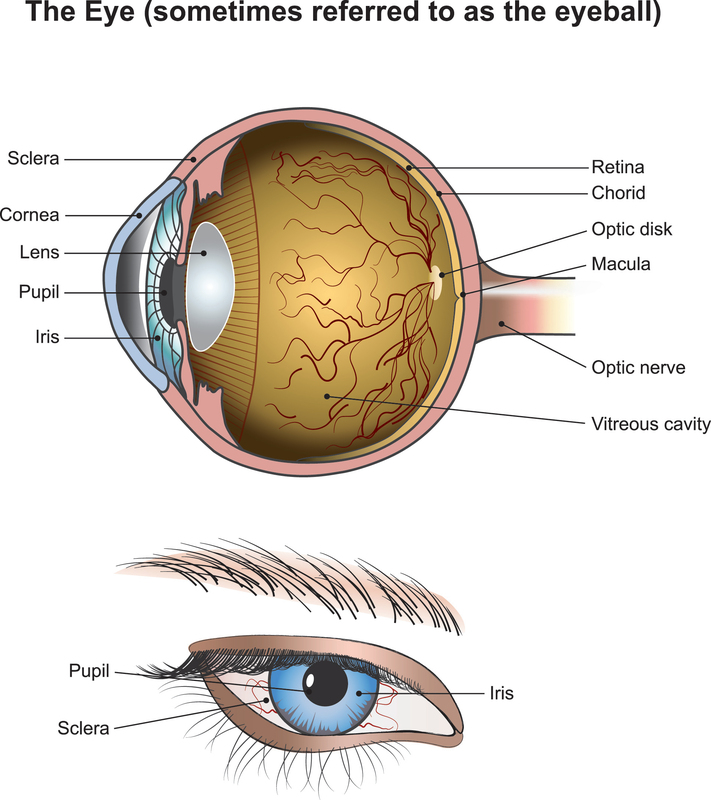 There are two forms of AMD, the dry form and the wet form. About 80 percent of people with AMD have the dry form, which occurs when the tissue of the macula gets thinner and deteriorates with age. With the dry form of AMD, small clumps of protein, called drusen, begin to grow, and you may start to slowly lose vision. The wet form of AMD, which is much less common, involves the growth of abnormal blood vessels under the retina. In time, these abnormal vessels can leak blood and other fluids. The leaked fluids can damage the macula and lead to loss of vision, which typically occurs more quickly than with dry AMD. The dry form can progress into the wet form over time. The key to saving your vision is early detection and intervention, but you’ve got to watch out. AMD is tricky. It can be hard to detect initially because it doesn’t typically have noticeable symptoms in its early stages, outside of the presence of drusen. That’s why it’s important to see your eye doctor regularly so he or she can examine your retinas closely to look for drusen and any other signs AMD is developing. As AMD progresses, however, you may notice a blurry area in the center of your vision that may evolve into an empty spot. That empty area may be apparent when reading a page of type, like a book or newspaper. In addition, straight lines may look wavy, and colors might not be as sharp. Objects in your view may also appear blurry or distorted. If these symptoms occur, see your eye doctor right away. Currently, there is no treatment for dry AMD, especially in its early stages. However, research has shown that this disease is less prevalent in people who exercise regularly, eat a healthy diet with lots of green leafy vegetables and fish, and don’t smoke. Eye professionals believe these healthy behaviors may also help people with dry AMD keep their vision longer. The belief about a healthy diet was bolstered by two research trials called the Age-Related Eye Disease Studies (AREDS and AREDS2). During these trials, scientists at the National Eye Institute studied the effects of vitamin and mineral supplementation on AMD. They determined that taking a specific formulation of vitamins and minerals slowed the progression of AMD in people who had intermediate and late disease. AREDS2 supplement therapy is now routine. For people with wet AMD, there are several treatments available to destroy the abnormal blood vessels growing underneath the retina and halt the progression of the disease. These include laser surgery and photodynamic therapy, both of which use lasers to close the abnormal vessels and slow the loss of vision. More commonly, though, are monthly injections into the eye to slow the progression of wet AMD. With wet AMD, high levels of a protein called vascular endothelial growth factor (VEGF) are released into the eyes. VEGF promotes the growth of the new, abnormal blood vessels. During this treatment, anti-VEGF medications are injected into the eye, which blocks the new vessels growth. None of these treatments for AMD are cures, and they can’t restore vision that is already lost. But they can help slow additional vision loss. If you’re a Baby Boomer, be sure to see your eye doctor regularly to check for signs AMD is developing. Remember, early action can limit loss and save your remaining vision.